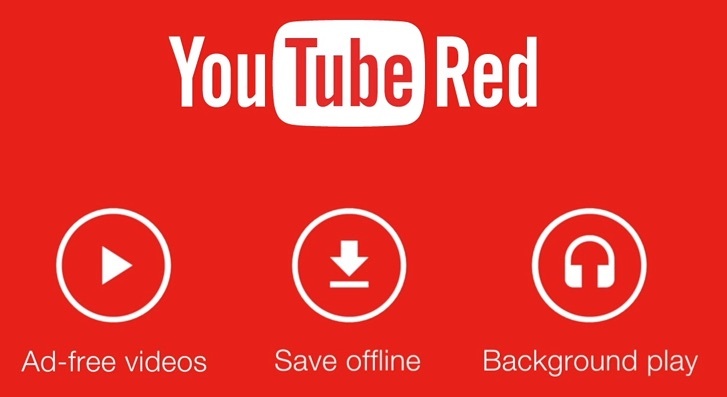 Google today announced YouTube Red, a new subscription service that provides unlimited ad-free access to YouTube videos for $9.99 per month on Android, desktop and the mobile web, and $12.99 per month on iOS due to Apple's in-app purchase tax (via TechCrunch). The membership also includes several other benefits. YouTube Red features the option to save videos for offline playback and to play videos in the background on smartphones and tablets. In early 2016, the subscription service will also take on Netflix by introducing member-only access to Original series and movies by some of YouTube's most popular creators. YouTube Red launches in the U.S. on October 28, and will expand to other major markets over the course of the next year. The service works across all devices and anywhere you can sign into YouTube, including its new Gaming and Family apps. A free 14-day trial will be available in the U.S., which can be extended to 30 days with a credit card. Google has also bundled a Play Music subscription into YouTube Red on iOS and Android, providing access to both services for a combined $9.99 or $12.99 monthly payment. YouTube Red's unlimited access to both streaming music, videos and more makes it an attractive competitor alongside rivals like Apple Music and Spotify. Google also announced YouTube Music, an all-new app for discovering, watching and listening to music videos. The app is coming soon in the U.S., followed by additional countries in 2016. YouTube Red members gain additional features such as no ads and other background and offline member benefits. YouTube will continue to be available in its traditional ad-supported format on the web and mobile devices. Google says today's ad-supported experience will not change for users who aren't interested in paying, while the majority of revenue collected from YouTube Red will be distributed to partners. I feel as if I'm being "threatened" with ads, rather than being offered an equitable opt-out. "Pay this inflated price or you'll have to spend part of your life watching Colgate commercials!" Just one more thing to subscribe to and pay monthly? Pass. All these subscriptions are going to start adding up to more than a cable bill. $10 per month? Are they crazy? Are they promising any original content? The sad part is, they are going to up the ante on ads to get you to switch. Interesting but I will never give Google my money, have an account with them or use their services.